Despite the fact that the possibility of accelerating development and growth in Africa ultimately differs from country to country, it is nonetheless apparent that the majority of countries on the continent require similar reforms in a variety of general political, social and judicial areas. In fact, there is hardly a sector that is not in need of reforms – planning, infrastructure, education, regulation, judicial, the war against corruption, industrialisation, taxation, funding, and many more are all crying out for change. The difficulty, however, lies in determining the priorities and indeed the possibility of change. By DANIEL PINHASSI. The Asian development model is much referenced with regard to Africa. The Singaporean one, for example, began with the creation of sources of employment in conjunction with a revolution in education that enabled the transition of a time-honoured agrarian economy to one based on the traditional textile industry, and from there progressed to one founded on banking and advanced technology. This was by nature a relatively slow revolution that advanced over more than 40 years under a harsh and autocratic leadership. It is doubtful whether this Singaporean model could be replicated within the current global reality, let alone within the political, social and cultural realities of Africa. It is doubtful too whether Africa can afford such a prolonged process. The demographic data in Africa necessitate extremely rapid interim solutions. The pressures on cramped cities to accommodate migrants, along with the toughening of European immigration policies towards Africa and the Middle East, make for social pressures that threaten stability across the continent. Declining growth percentages in a number of African countries (especially in oil exports and natural resources), and the widening gap between the comfortably off and the poor, have already engendered frustration, particularly among the youth, influenced by their knowledge of global realities. Like their parents, they lack sufficient education, but unlike them, they are no longer prepared to accept their situation. Exposed through media, satellite and internet platforms to seductive other worlds, they demand a better life for themselves with employment security, and the right to live with respect. Developing countries often prioritise urban investment, but paradoxically, this only makes them more attractive to young rural migrants. Cities absorbing these rural Africans are like barrels fed by wide hoses, and with only narrow outlets. No matter how many resources are invested in increasing the size of the barrels, they are immediately refilled, and overflow. The development of cities in Africa is largely a “downstream” solution, and as such, struggles with yesterday’s challenges while tardy in responding appropriately to those of today and tomorrow. 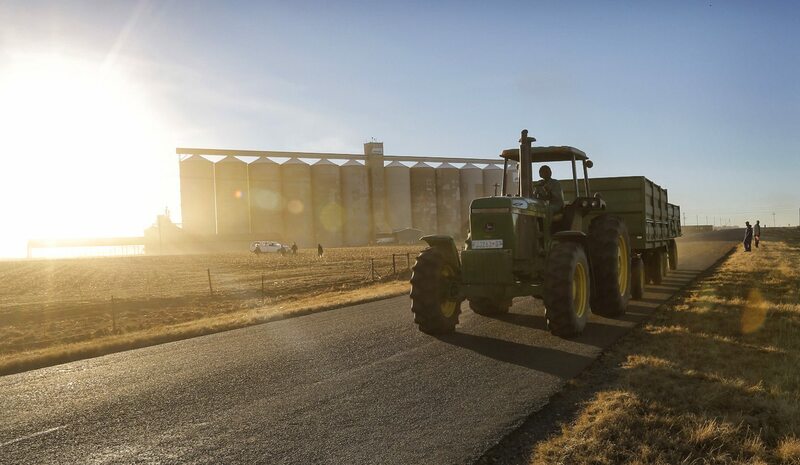 There is a justifiable claim that modern and efficient farming should comprise a sector in which just 5% of a country’s population supplies food for its citizens as well as for export. On this basis, African governments are therefore interested in attracting private investment in agriculture in order to create thousands of jobs, even if they are at the minimum wage. However, in the African context, where 60-70% of the population earn their living from traditional farming and hold a significant portion of the land, there is no option but to develop small farmers at the same time. Preference should thus be given to rural development in order to transform the traditional African village into an alternative means to a prosperous life. Migration to the cities ceases, with those migrants already in the cities not hesitating to return. Farmers become active in the market, dramatically increasing the demand for basic products in isolated areas. Farmers are able to improve their living standards and lifestyles through their own monetary resources, without recourse to government aid. The need for subsidies is reduced, leaving only water as the means of production in need of subsidisation along with the provision of assistance in marketing services, credit, training, disaster and other insurance, as is done for agriculture in most countries. The amount of food produced increases, with enough to supply the local market, and thereafter, exports to neighbouring cities and countries. Job creation is expensive, and job creation within a short period of time even more so. It is thus readily apparent that the only way open today for African leaders to deliver jobs quickly to those who lack education is through training in modern agriculture, which, while perhaps more difficult with people lacking in education, can nevertheless achieve results. It is a mistake to insist on improving both living standards and housing conditions among rural citizens before ensuring that they have employment and the ability to earn a decent living. Indeed, it is the opposite that needs to be done. The state must therefore first increase production and profitability through investment, mechanisation, instruction, agricultural services, the opening of marketing channels, ongoing technical support and the like. It is only once they have profited that rural people will be able to concern themselves with materially improving their lot. Instead of investing in subsistence subsidies or private construction, governments need to develop infrastructure and public services – most of all in education and medicine. Agricultural development naturally requires improvements in roads and infrastructure, which to a large degree has already taken place during the last two decades across most of the continent. It thus appears that the crucial challenge remains the lack of energy sources for villages. However, it does seem possible to begin by utilising local solutions instead of waiting for isolated regional connections to national grids. Farming, once profitable, will find a way of supporting such solutions. It is unnecessary to set food security as a goal, as many African leaders and international organisations have done since the food crisis of 2008. The modern farmer produces more than enough food for his immediate environment, and earns enough to be able to import food that he cannot grow. It is evident that the advancement of sustainable modern farming brings food security with it by default.